If you are considering building a new Adirondack camp, vacation home, or log home, we recommend that you consider modular construction. 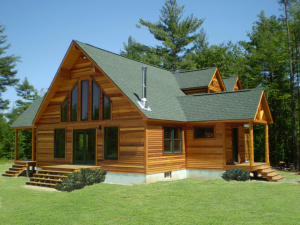 We can help you design and build anything from a modest lakeside camp to a magnificent modular log-sided custom home. Please contact us to discuss your new vacation home building project.